Give a precious look to your decor by placing this beautiful Rouge Irani Afghan Runner in your bedroom. It is made in pure wool and finest quality of cotton using natural dying process. This runner is a highly durable runner. 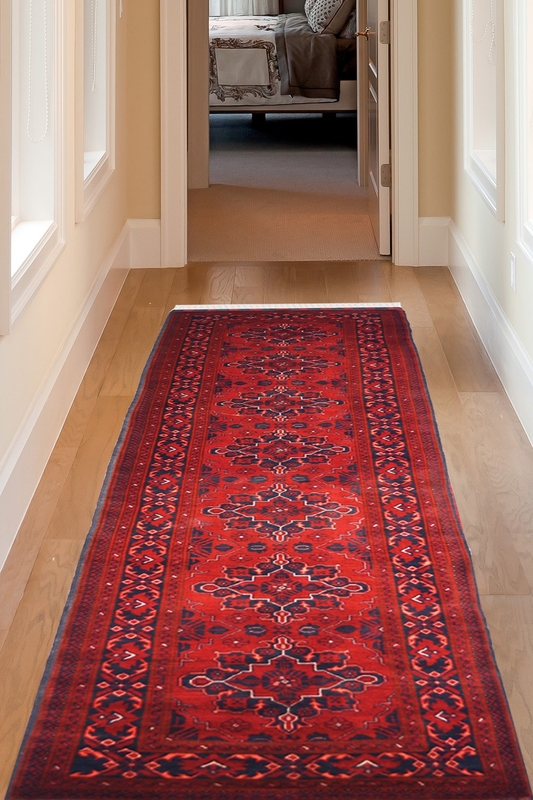 A pure wool handmade Bokhara design runner which is suitable for the entryway and bedside as well. This design has been originated from Iran and famous as a traditional design pattern. Very nice and charming that you can use as an art piece or place it as a floor area rug.